Ok, this is inspired by many Karen, Niki, Michelle, and others so I strive to do it justice. This has been one of the biggest years of learning in my life (behind becoming a wife and parenting my children). Although I have been teaching for 20 years, this has been the greatest. I returned to the classroom full-time since becoming a mom 14 yrs ago and embraced using technology with my students. As I have mentioned before, this was way outside my comfort zone, much like what I imagine my students feel like at various times in our day. Late fall I saw Adrienne Gear speak about her Writing Power book and several strategies to improve students writing. 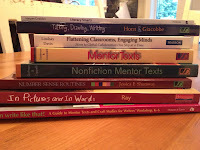 I'm thinking about how to help my young writers develop their own "voice". Dec. saw my Smartboard finally installed. Amidst great excitement I began learning to use it with my students (who learn faster than I at times)! It quickly became a favourite teaching/learning tool for students and teacher. Feb. I went to my first Ed Camp in Surrey, where I met Karen for the first time. She convinced of the power of Twitter, and blogging! I set up a Twitter account and "lurked"
March, I began this blog. I also set my grade 1 students up with their own kidblog account. I am so happy to see them continue to blog and comment through the summer. I helped write our school's proposal for the Innovative Learning Designs grant where we were successful in gaining funds to purchase mobile technology for next year. I attended another Primary Teacher's Association mtg where I met Sarah who again encouraged me to jump-in with both feet and be more active on Twitter. I tried "I Wonder..." statements with my students where they investigate their own inquiry. Powerful learning was the result. I began learning from and with my students, and not fear the mistakes or problems along the way. Yes, the dongle to the Smartboard sometimes has a mind of it's own! The last few months (and George Couros) have convinced me of the power of Twitter in my own Pro D. The connections are simply amazing! I have another stack from last year I intend to review this summer as well. I love being challenged by so many. My effort right now is to write to make sense of what I am learning. I aim to be more purposeful in developing my own voice right here. 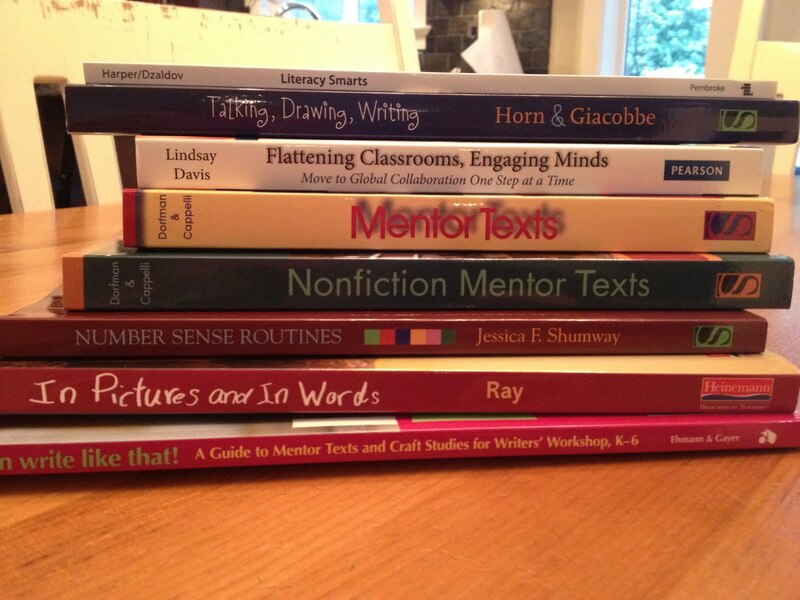 I am thankful to all these talented teachers (and so many more) who encourage on my journey. Thanks also to Shelley Brett for supporting and believing in Niki and I!